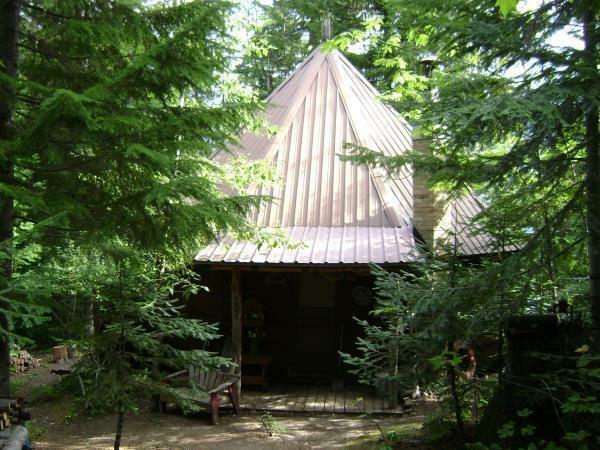 A genuine, back-to-nature CABIN set on the south shore of Lake Wenatchee with a private dock! This beloved hexagonal shaped wood cabin with deck is part of the National Forest System 'Cabin in the Woods' program. Step into the open, main floor with a tall, vaulted ceiling, living room, full kitchen area, wood fireplace and 3/4 bath. Sleeping loft upstairs with room for multiple beds and storage. A gentle, 200' sloped walkway to a sandy beach w/private dock and trail access along the lake.